Physical therapy. Not my favorite thing in the world, but I guess it is important in order to be the healthiest and most physically fit person that I can be. 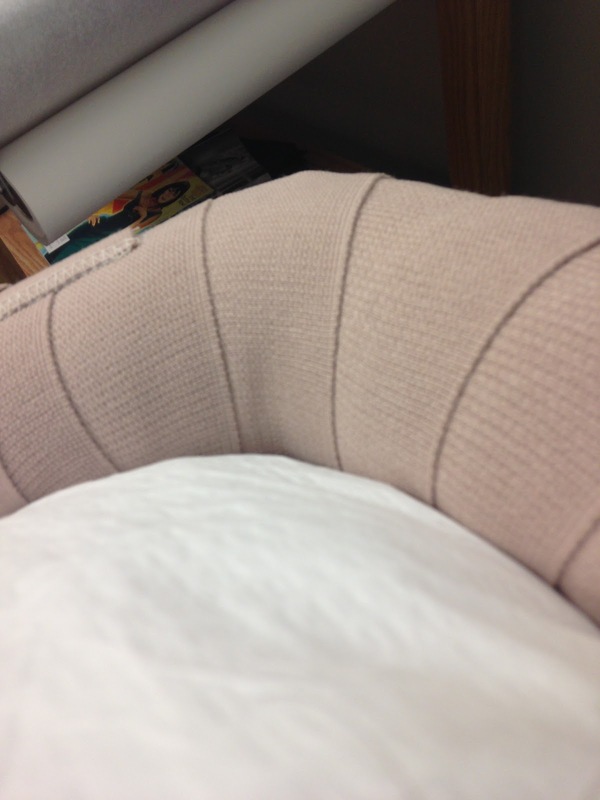 If my elbow is properly functioning, then I can run better. I honestly did not think about that before, but in reality, I am VERY aware of my elbow when I am running. I probably always will be for the rest of my life, I am afraid. I am mentally having a hard time wrapping my head around the fact that it has somehow been more than a year since I fell, broke the 'bow, and had it surgically repaired. My life has pretty much been feeling different ever since then. (Granted, that is 99% because I have had little Addie in my life since shortly after that, but still, I am sure a metal plate is PART of it). So here I am back where I started. I am in PT three times per week. I am getting my elbow worked on in hopes that I can get some additional mobility. Granted, the range of motion that I have is sufficient, it is not causing me any problems, it would just be nice to have a little bit more. I would like to not be aware of my arm at all times, and I think that there is a good chance that the fact that my arm simply does not move exactly like I might like to move it has something to do with that. So in addition to having my elbow worked on, I am having my legs taken care of in physical therapy. After seeing the chiropractor at the GCM expo, I realized that I had a pretty big issue with my glute (and my super tight hamstrings) and that chiropractor recommended looking into a technique called Graston, which is similar to scraping, if you know anything about that. Basically metal instruments run along your muscles to break up any fibrous tissues, which in turn helps my legs (I can speak from experience now!) feel stronger and more fresh.